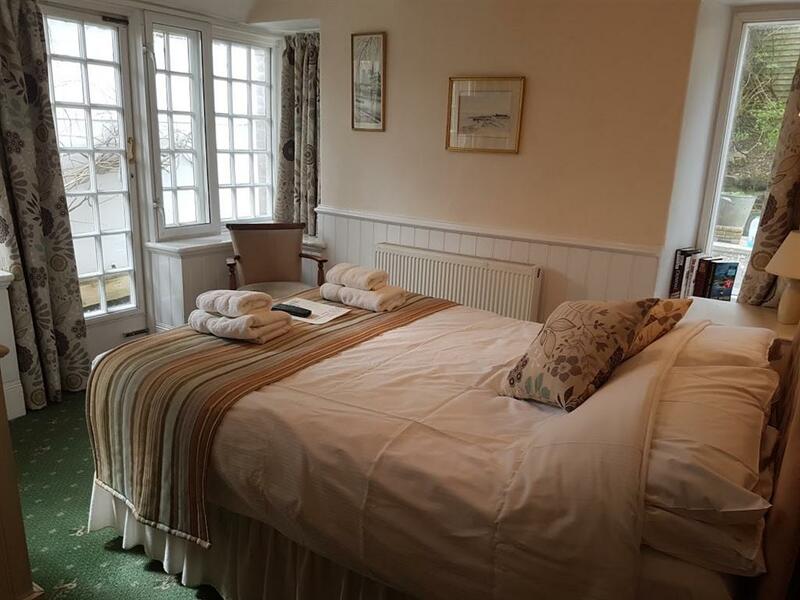 A beautifully presented large first floor double en-suite room with large oak framed bay window seating area overlooking the picturesque garden. Large built in wardrobe, comfortable double bed made up with Egyptian cotton sheets and duvet, flat screen TV, tea and coffee making facilities, radio alarm clock. The modern en-suite bathroom has a powerful shower, wash hand basin, toilet and heated towel rail. 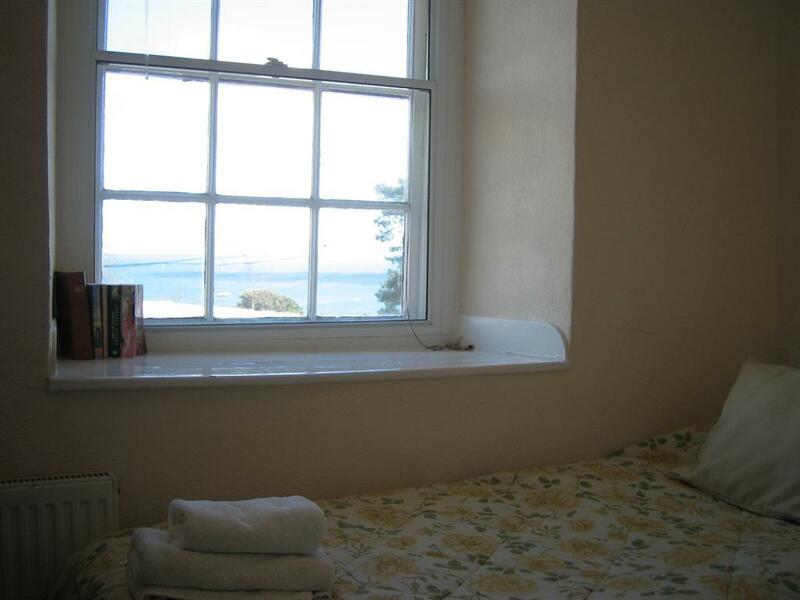 A large first floor double en-suite room with bay window which has excellent views over the sea and coastline. 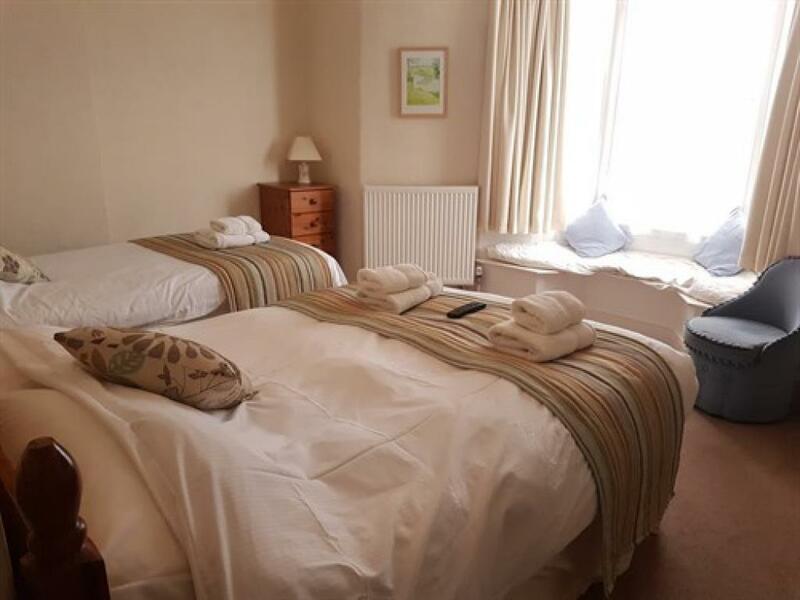 Large built in wardrobe, comfortable double bed made up with Egyptian cotton sheets and duvet cover, flat screen TV, tea and coffee making facilities and radio alarm clock. The ensuite has shower, basin, toilet and towel rail. 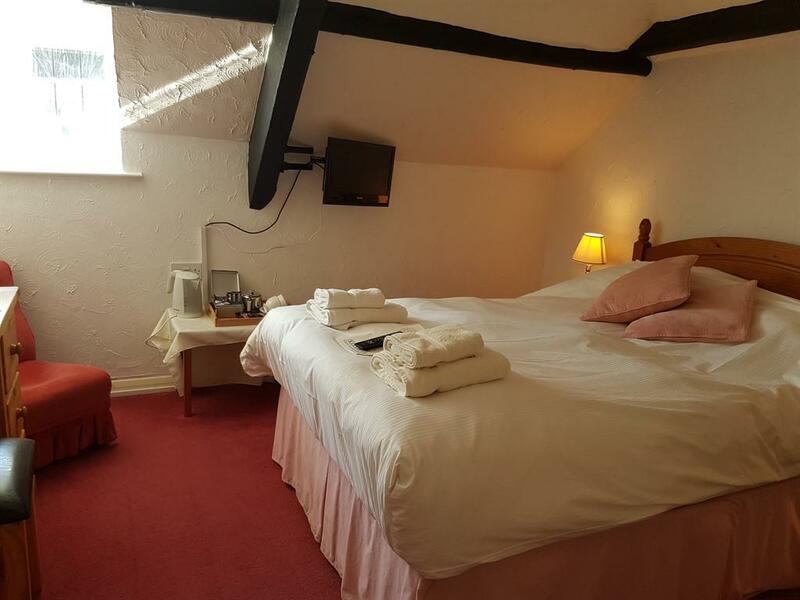 Our largest first floor double en-suite room having been newly refurbished room and with new ensuite bathroom facilities. Large bay window with seating area and period fireplace. Tea and coffee beverage tray. Modern comfortable double bed made up with Egyptian cotton sheets and duvet, flat screen TV , radio alarm clock. 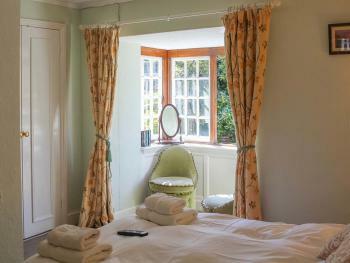 The modern en-suite bathroom has a bath with shower over, heated towel rail, toilet and a wash hand basin, shaver point. 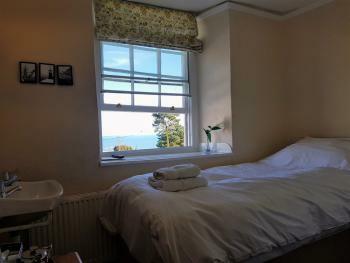 A small first floor single bedroom with standard size single bed and beautiful views out to sea and the Jurassic coastline. 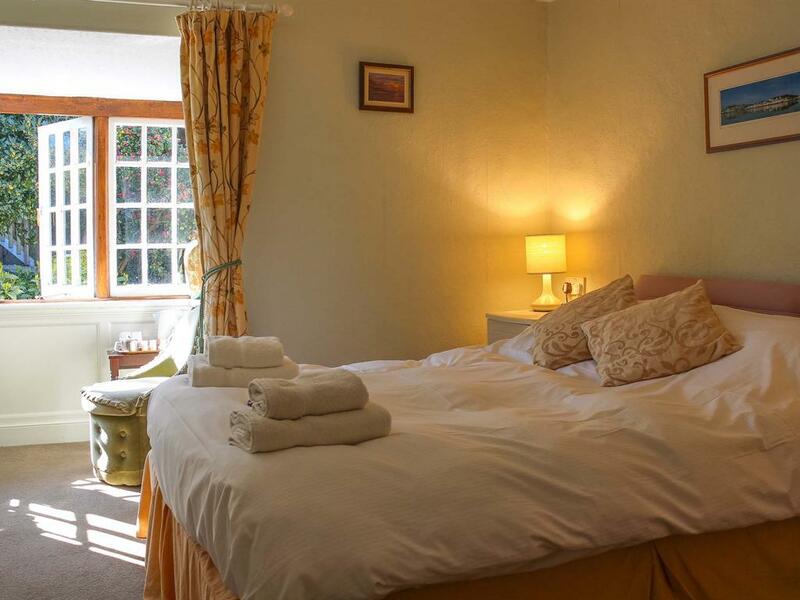 The room is equipped with a Flat screen TV, radio and tea and coffee making facilities, wardrobe, chair and a large sink is also within the bedroom. The modern compact ensuite, has a shower and toilet. A large first floor twin en-suite room, the bay window has a seating area with excellent views out to sea and along the Jurassic coastline to Golden cap and Portland bill. 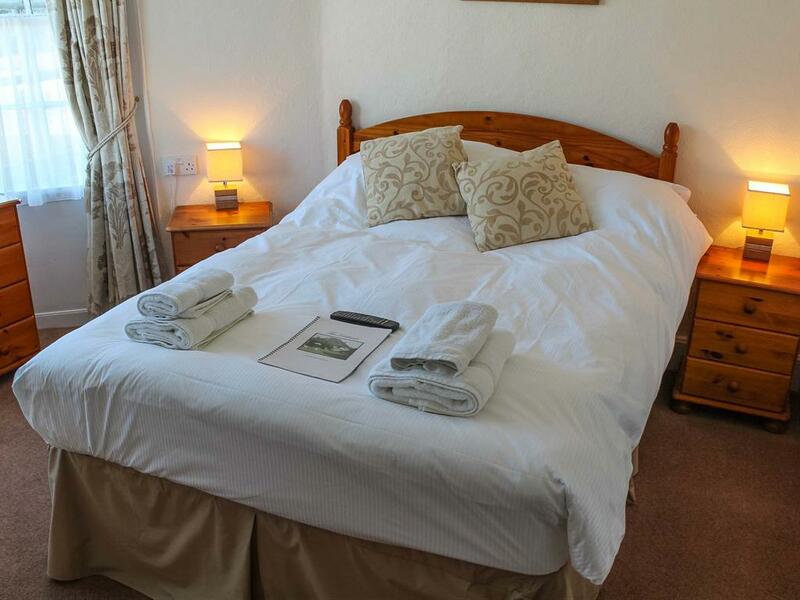 There is a wardrobe, comfortable twin beds made up with Egyptian cotton sheets and duvets, flat screen TV and tea and coffee making facilities, radio alarm clock. The modern ensuite has a bath with shower over with screen, (grab rail to assist ease of access), toilet, wash hand basin and a heated towel rail. 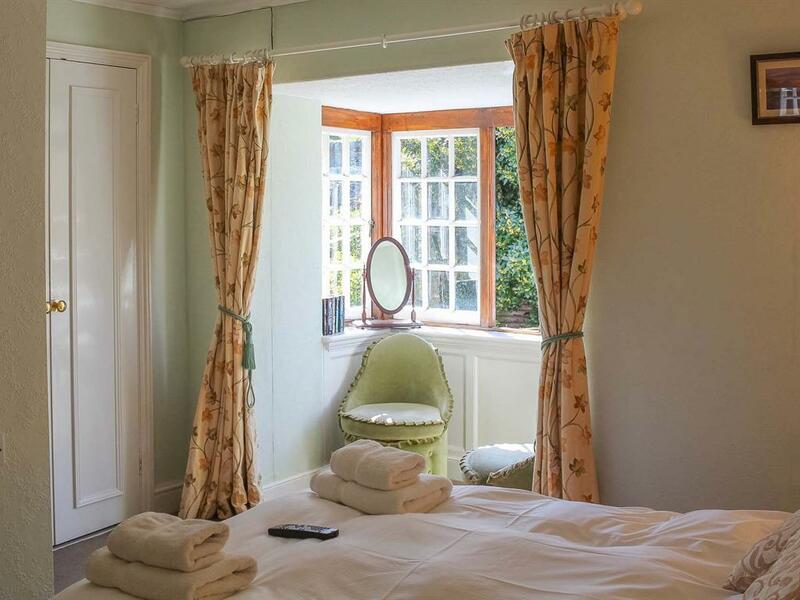 A beautifully presented large first floor twin en-suite room with large bay window and seating area overlooking the picturesque garden. 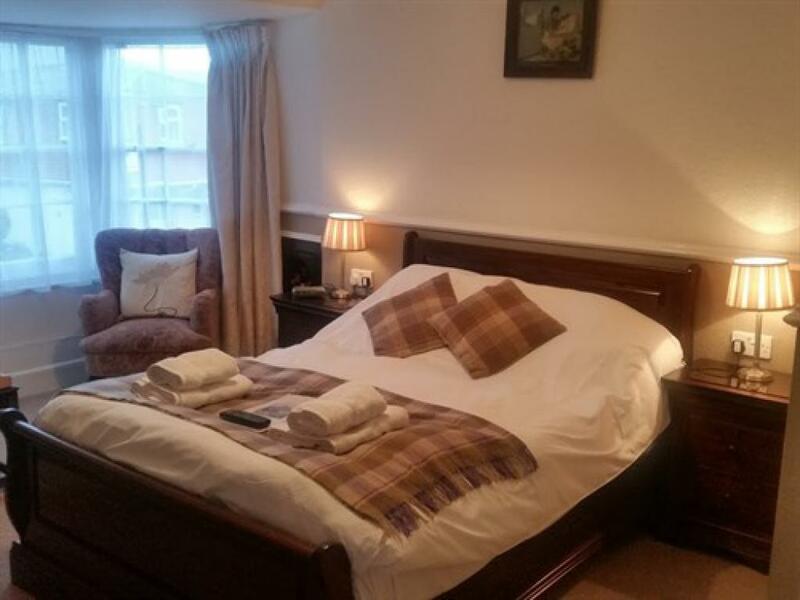 Large built in wardrobe, comfortable twin beds made up with Egyptian cotton sheets and duvets, high wing backed arm chair, flat screen TV and tea and coffee making facilities, radio alarm clock. The room has a modern ensuite shower room, with toilet and wash hand basin. 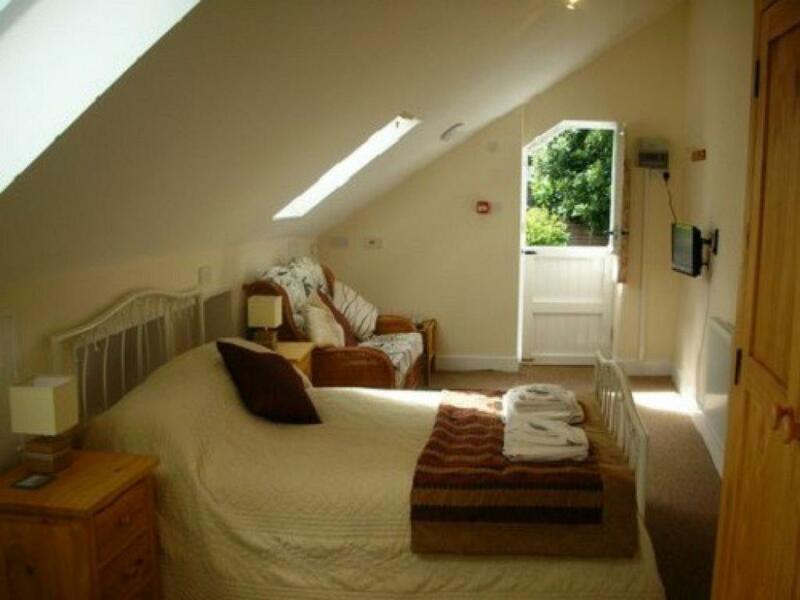 A small ground floor double en-suite room, with private courtyard/ small outside patio area. Comfortable double bed, flat screen TV and tea and coffee making facilities. The modern en-suite has a shower, toilet, basin and heated towel rail. The family ensuite is a large spacious ground floor room, with double and single beds. 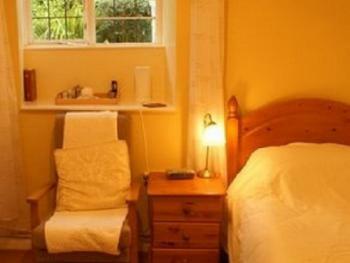 An extra fold out bed is available on request for a fourth person. 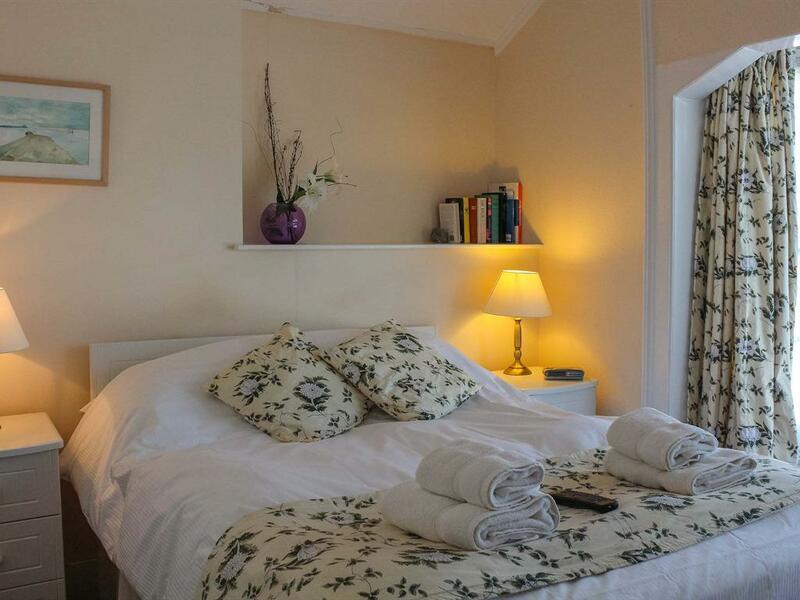 The room has a built in wardrobe, flat screen TV, radio alarm clock, tea and coffee making facilities and a modern ensuite bathroom with a large shower with grab rail and low profile tray. 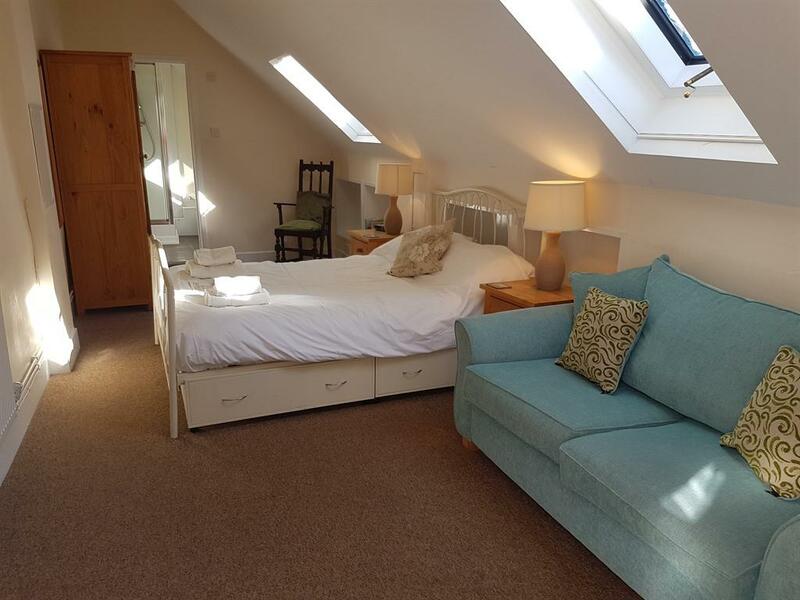 A ground floor single bedroom with standard size single bed, flat screen TV, built in wardrobe, comfortable arm chair, radio and tea and coffee making facilities. 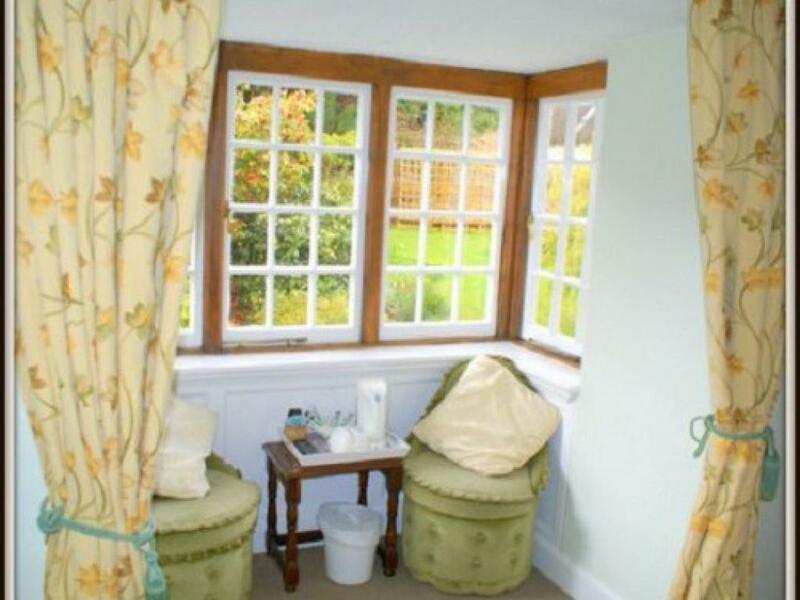 The immediately adjacent private shower room has a toilet, washand basin and shower. Bedroom has a large sink also within the bedroom. 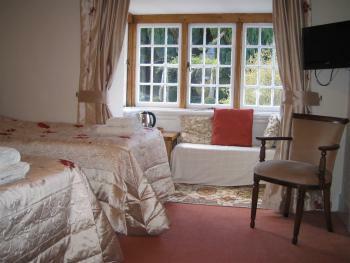 We may not be able to offer a parking space with this room, please check with reception before booking. A ground floor twin en-suite, two single beds, flat screen TV and tea and coffee making facilities. 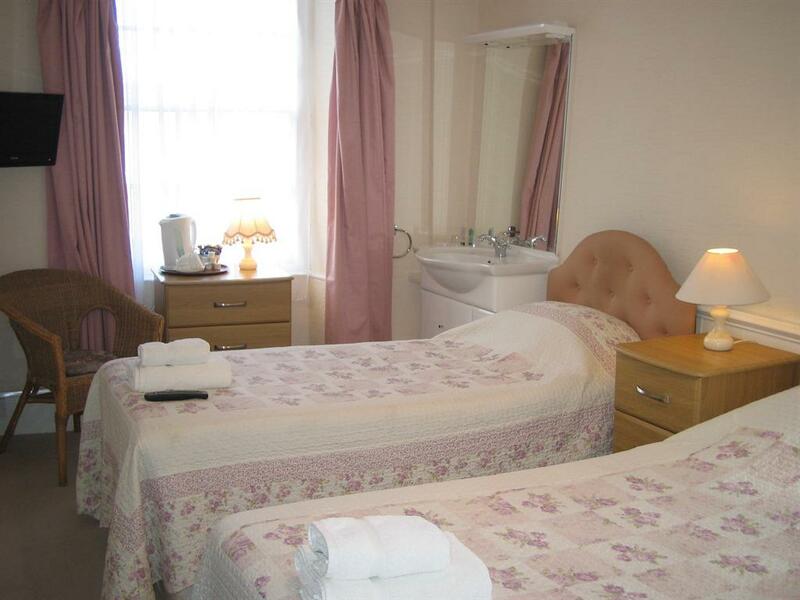 The modern en-suite has a shower and toilet facilities, a sink is within the bedroom. A second floor double en-suite room with exposed roof beams and dormer windows set into the thatched roof with views over the picturesque garden. 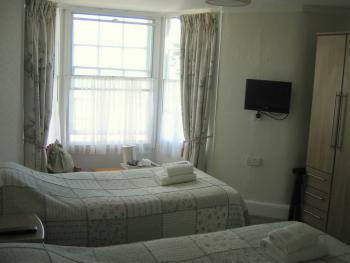 A built in wardrobe, comfortable double bed, flat screen TV, tea and coffee making facilities and radio alarm clock. The en-suite has a bath, toilet and wash hand basin. A beautiful large and light studio double bedroom with a sofa seating area and benefiting from its own private external entrance via a spiral staircase from the patio on the picturesque garden side of the house. Large wardrobe, comfortable double bed made up with Egyptian cotton sheets and duvet cover, sofa, flat screen TV, tea and coffee making facilities and radio alarm clock. The modern ensuite bathroom has a shower, toilet and washbasin. 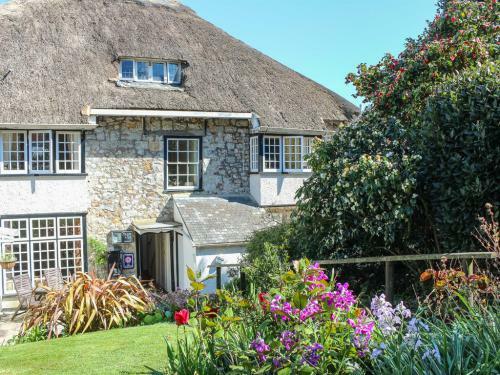 The Kersbrook is a beautiful thatched, eighteenth century Grade II listed building (1780) set in its own picturesque mature gardens just off the town centre with views across Lyme Regis. 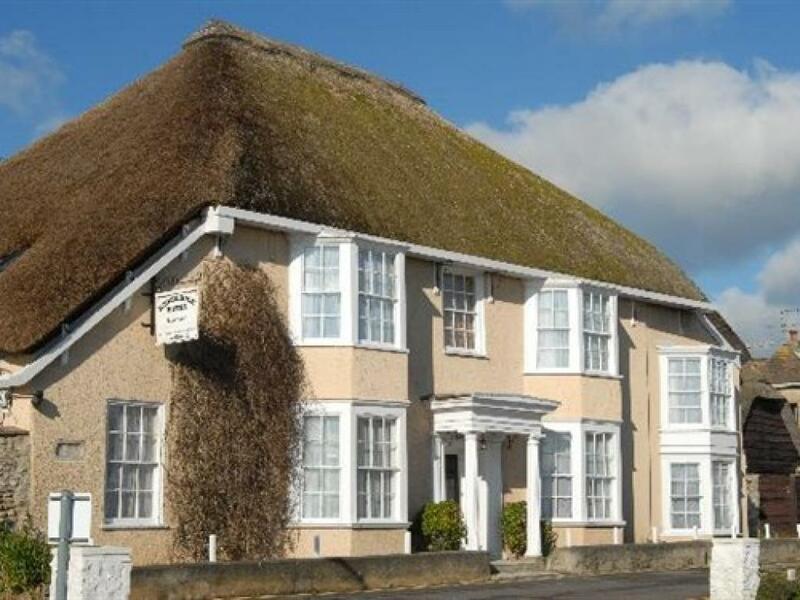 Family run, this guest accommodation business has 14 traditionally decorated guest rooms, a licensed bar and guest lounge with private secure on site parking just beyond the walled garden. The Kersbrook is situated within 250m easy walking distance of Lyme Regis town centre, its beaches and the ancient Cobb Harbour. (Lyme Regis has historical links with the Duke of Monmouth and of course, John Fowles' 'French Lieutenant's Woman.') 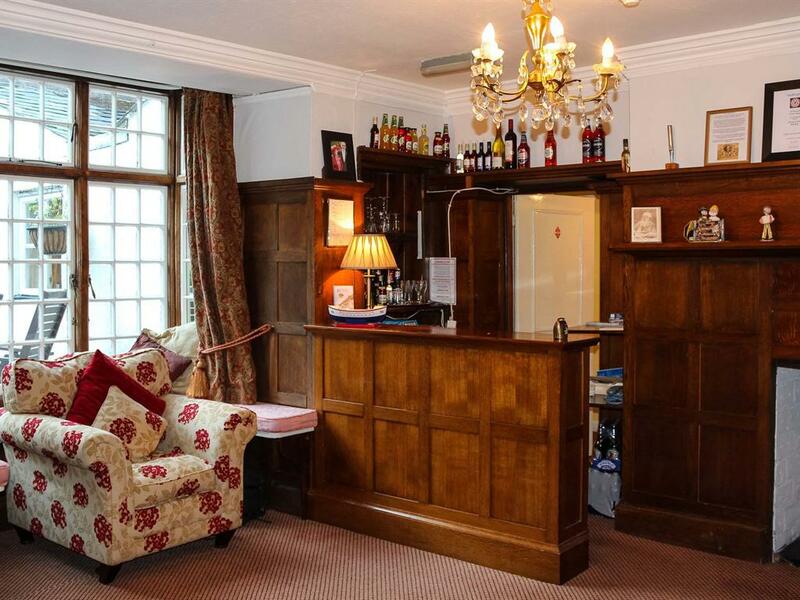 The family offer traditional hospitality combined with modern comforts and a member of the family or staff is always available to meet and greet you on arrival and look after you during your stay. 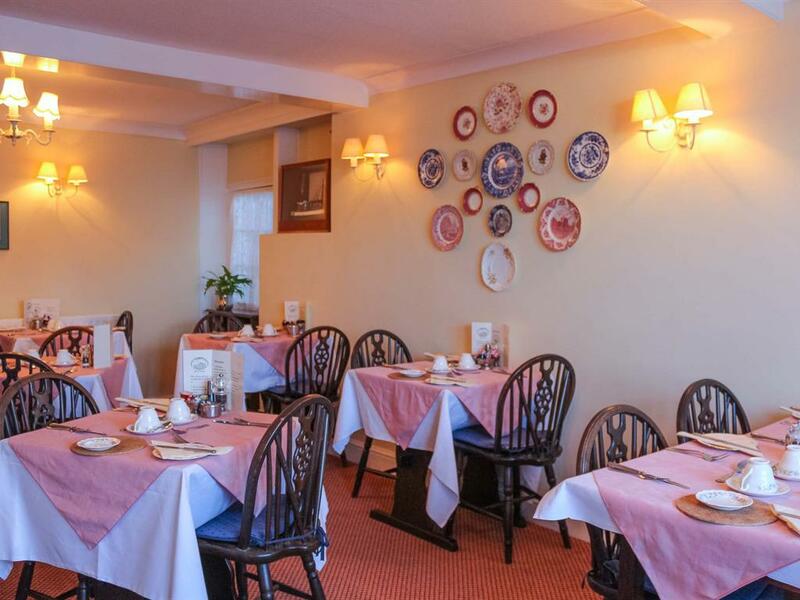 Whether you need local information, a map, a cup of tea or a chat we are here to help and make sure you enjoy your time at the Kersbrook. 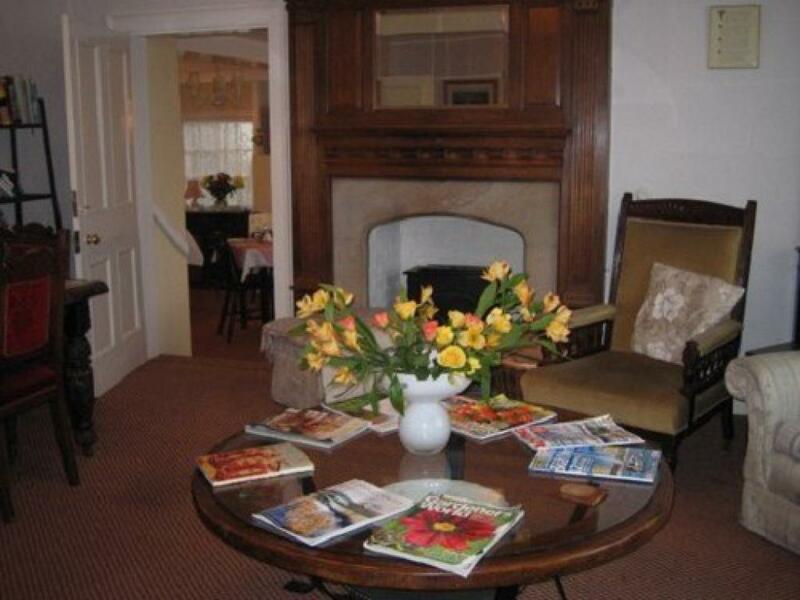 We aim to cater for the needs of all who visit the Kersbrook. 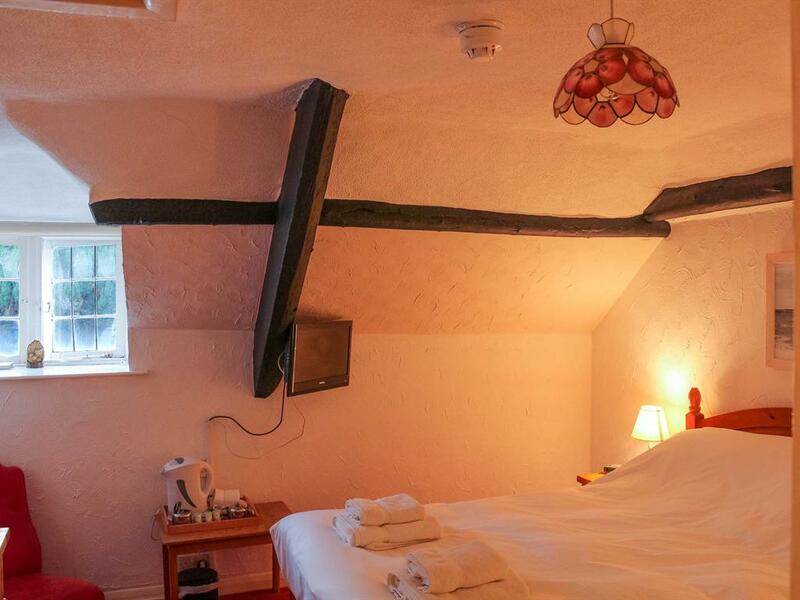 The Kersbrook is a Grade II listed building built in 1789 and whilst we aim to meet the needs of all our guests there are some period features which might make access difficult for people with limited mobility. Lyme Regis has steep hills and we are located 300m from the sea on a hill and have rooms at different levels, therefore we have steps into the Kersbrook or ramped access. Some ceilings are fairly low with exposed wooden roof beams and are of typical cottage proportions and not suitable for wheelchair users. However, we have 12 guest bedrooms, 4 of which are on the ground floor and one of these rooms is a family room which is close to the front entrance and is wheelchair accessible. The toilet & shower are ensuite and the shower has a low profile shower tray and grab rail. The 6 other bedrooms are all on the first floor level and 2 more are on second floor level. 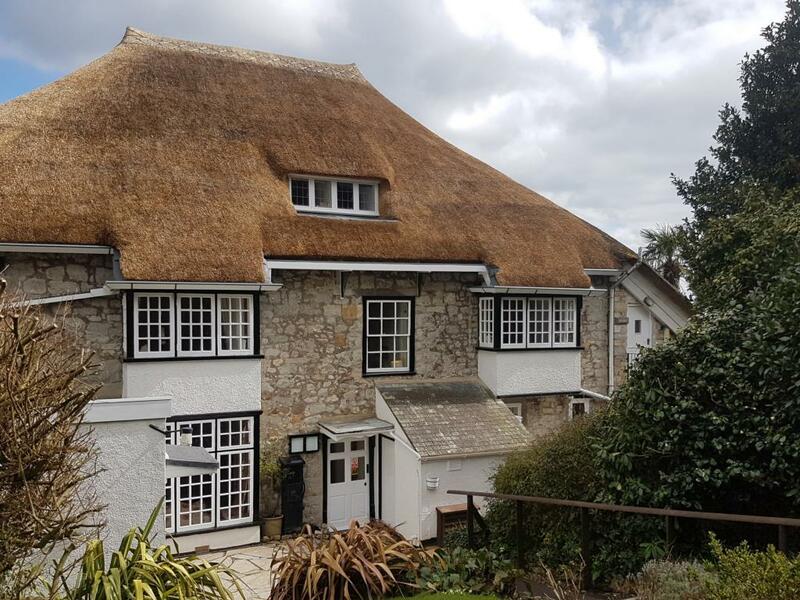 Kersbrook, Pound Road, Lyme Regis, Dorset, DT7 3HX. From the top of Broad Street by the Cinema at the centre of town (opposite the Bus stop), facing uphill take the road on the left at the fork, this is Pound Street. Continue up Pound Street for 200 m and opposite the entrance to Holmbush car park turn right into Pound Road. We are 75 m on the left hand side. We are only 300m to the beaches, Cobb harbour and the SW coast path.